"Permisi, mau testi. 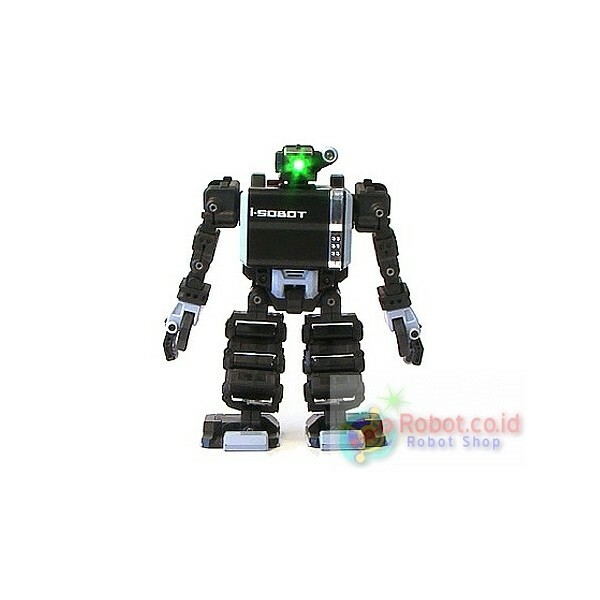 Lego mindstorm NXT 2.0 dan Lego..."
Stok lagi sangat langka dan terbatas !!!!! Robot I-Sobot By Tomy Takara Japan Merupakan Salah-Satu Collectible Item Karena Jumlah Produksinya Yang Sangat Limited Sekali Dan Dengan Bentuk Dan Bobotnya Yang Sangat Ringan Untuk Ukuran Sebuah Robot Pintar Yang Bergerak Menggunakan Mekanis 17 Servo Motor. * Includes LCD remote control, hexagon wrench, action chart, operation manual 3 AAA rechargable batteries and Charger. There's no shortage of fun with the amazing i-SOBOT, the World's Smallest Robot. Packed with over 200 words and phrases, and more than 200 pre-programmed movements, this robot can do everything from saying goodbye to dancing the hula. 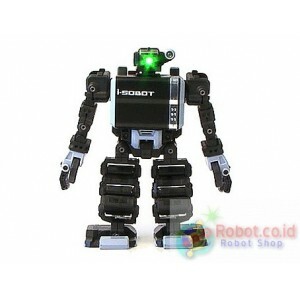 Recommended for kids aged 15 and up, the i-SOBOT is ready to rock 'n' roll right out of the box. With unbelievably smooth robotics, the i-SOBOT walks more like a human than a robot. This fully-functional and fully-assembled robot features 17 custom designed actuators and gyro-sensor, allowing it to keep balance and freely move joints for impressive performance, vivid movement, and incredible flexibility. Other main components include a built-in speaker unit and built-in microphone with a voice recognition chip. With built-in clutches and metal gears, the i-SOBOT offers up to 220-degree movement. The two infrared transmission bands allow the robot to be operated with an LCD remote control. Also performing by programmable memory and by the sound of your voice, the i-SOBOT will make your day and impress your friends with his moves. Putting the meaning back into "action-packed," the 6.5-inch tall robot dances to the beat, does push-ups and somersaults, imitates animals, hula dances, plays air guitar, kicks and punches with sound effects, and even responds to applause. Not only does the i-SOBOT talk with a vocabulary of 200 words and phrases, it also plays its own music.